Bob Corbus and Ange Ford have been partners in Docu-Systems, Inc., powered by The Ampersand Group, for over 25 years. Both are passionate about the game of golf, having been introduced to it as youths through caddying. There is something inherent in golf which piques the competitive drive and keeps the players coming back. 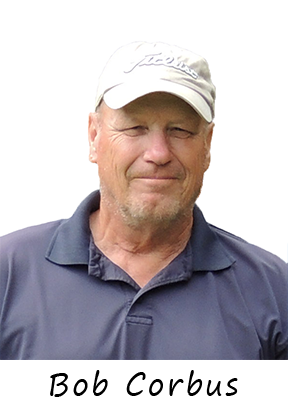 Both have planned and participated in hundreds of golf events over the years and have accumulated a wealth of information on what makes events not only successful but extremely enjoyable as well. 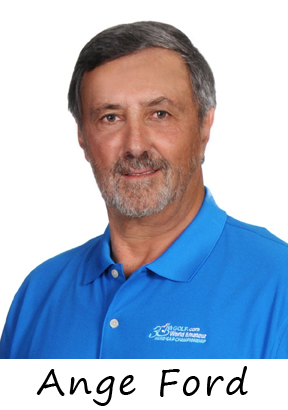 They combined their professional background in the printing and promotional business with their love and golf to form www.golfoutingcentral.com in 2014. They are backed by a staff of Customer Service Reps and a network of manufacturers that they represent. They are committed to providing professional service to clients planning golf events of any nature from corporate outings to fund raising golf tournaments. We’d love to talk to you about your next golf tournament. We"ll help you make it “Masters” like! Tap into the experience these two have accumulated both as organizers and participants in hundreds of events over the years and find out what to avoid and what tips to include in your planning process to help you reach the goals you have set for your event. Whether your outing is a fund raising event, corporate outing, or a reunion of golf buddies for a weekend of golf, the team can put you on the right track for maximizing the FUN had by all and making it one that stays in the memory banks of the participants. We work hard at providing UNIQUE ideas for golfer favors, prizes and gifts- all within the budget you designate. Call or submit online inquiry about the other UNIQUE outing enhancements we can provide.